A systematic review of the use of platelet-rich plasma in sports medicine as a new treatment for tendon and ligament injuries. Taylor DW, Petrera M, Hendry M, Theodoropoulos JS. Clin J Sport Med. 2011 Jul;21(4):344-52. As athletic trainers and sports medicine professionals we are constantly examining the literature for the newest and most up to date treatment options to get our athletes back on to the field safely and quickly. However, occasionally a treatment option is so new that there is limited data examining its efficacy. This happens to be the case with platelet-rich plasma therapy (PRP). Therefore the purpose of this study was to examine all of the clinical evidence-based research using PRP to determine its effectiveness. For this article a systematic literature review of in-vivo clinical PRP studies on subjects that have sustained injuries to either tendons or ligaments was conducted. The literature search yielded 13 studies that met the inclusionary criteria. Of these studies 8 provided evidence that PRP was a favorable treatment for rotator cuff surgery, elbow tendinopathy, patellar tendinosis and acute Achilles tendon repair. From these studies it appears that elbow tendinopathy elicited some of the most favorable outcomes when treated via PRP, with statistical improvement seen in both pain and function, when compared to cortisone injections. Although the subjects were not blinded, they did report relief up to 25 weeks. PRP use during rotator cuff repair has demonstrated positive results in 2 studies; however statistical improvement was not achieved until 6 months post-op. This may indicate that there is a delayed reaction when administering PRP intraoperatively. Studies examining intraoperative use of PRP on Achilles tendon tears have elicited positive results including improved functional outcomes, faster return to sport specific training, and tissue ingrowth. At the other end of the spectrum 4 articles determined that PRP had no significant improvement for either ACL reconstruction or chronic Achilles tendon tears. Two studies determined that there is no improvement in bone-tendon integration post-ACL reconstruction when PRP is used. One of these studies determined there is no resultant biomechanical effect after adding PRP to the standard ACL repair. However, MRIs done at 3 and 6 months revealed that the PRP treated ACL grafts did reach maturation faster compared to the control group. While this systematic review included studies demonstrating that PRP therapy has both positive and neutral results, it's important to note that all of the studies had confounding variables that makes direct comparisons difficult. In some studies subjects were blinded to the treatment while others were not. The preparation and administration of PRP varied between studies and most had small sample sizes (n = 10). Therefore, comparing these studies can be like comparing apples to oranges. 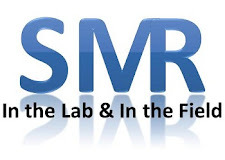 Although scientific research on PRP in sports medicine applications is still in its infancy, it is encouraging to see that a foundation is beginning to be built. In the future, additional basic science and randomized control trials need to be conducted so that the effectiveness of PRP can truly be determined. What are your thoughts on PRP? Are you intrigued at all by the positive findings in some of the studies? As the research continues, what questions do you have that you feel should be investigated? Do you feel it is better suited for acute or chronic injuries? I find that PRP can be used as a possible treatment for both chronic and acute injuries due to the therapeutic tissue treatment effects, to give my opinion on your question. There is research that shows that treatment to a partial rupture of a ligament and or tendon in an avascular area can have increase healing because of the injected platelets. I just hope for more research done with PRP because it has the potential to be a great source of treatment for patients.